As our nation works to advance renewable energy and to conserve wildlife, some conflicts arise. To address these challenges, the U.S. Geological Survey (USGS) is conducting innovative research and developing workable solutions to reduce the impacts of renewable energy production on wildlife. 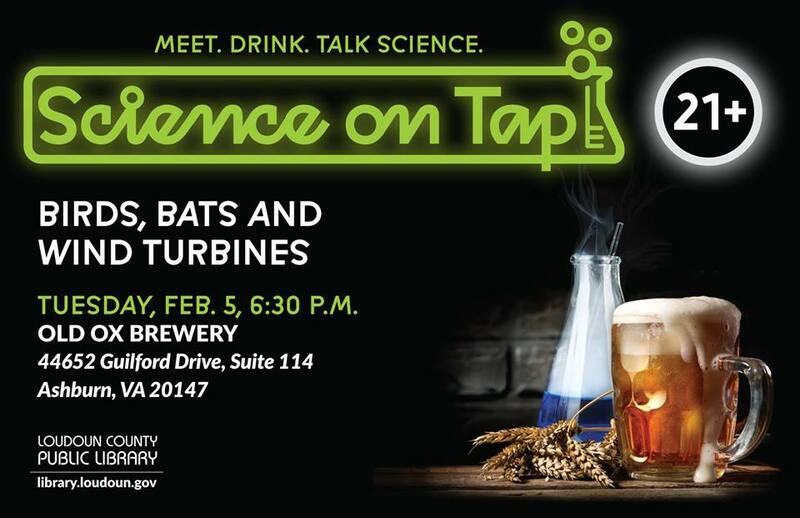 Join Loudoun County Public Library at Old Ox Brewery to hear about the latest work from Mona Khalil, who leads the USGS Energy and Wildlife Research Program, in this month’s edition of the Science on Tap series. To learn more about this program as well as upcoming installments of Science on Tap, go to https://bit.ly/2GmcUSW.